Looking to breathe easy in a comfortable dining setting? 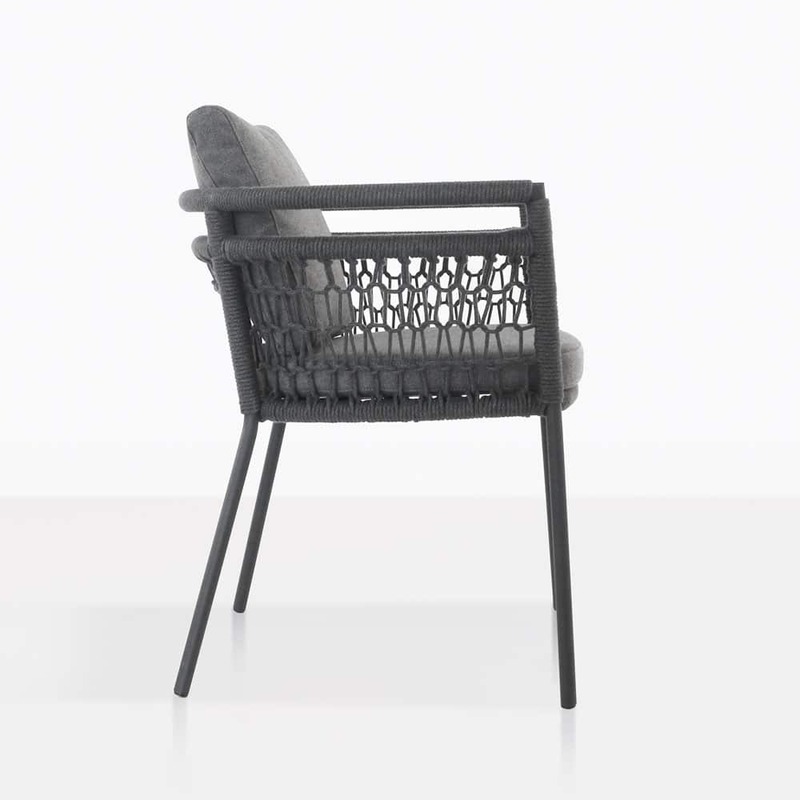 Allow yourself to imagine comfortable luxury in the wonderful Usso Dining Chair. Reigning supreme in the style department, the Usso Outdoor Dining Chair is an incredible design that illuminates fabulous textures that shine through the extraordinary outdoor materials on offer in this terrific piece! 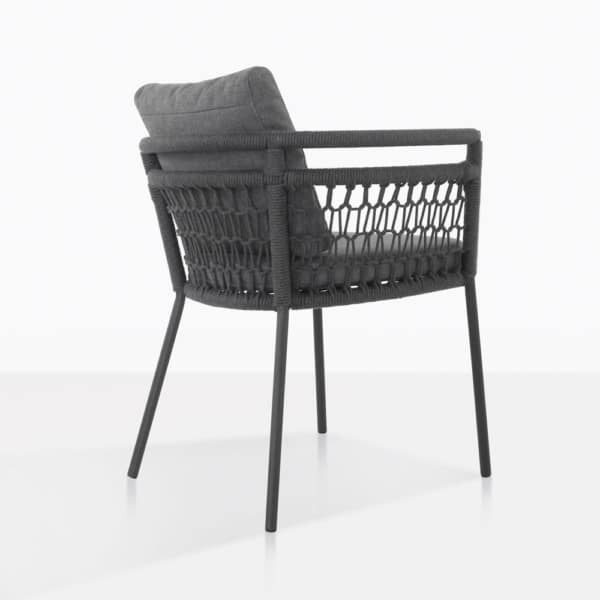 W25.75" x D22.8" x H31"
The Usso Outdoor Rope Dining Chair has a contemporary design that is modern yet organic. 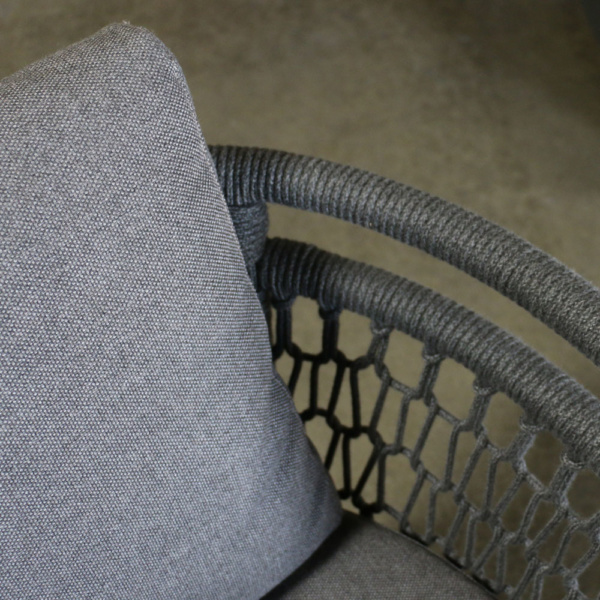 It is has the perfect balance of uniqueness and style that allows it to standout, while the woven rope seat keeps it light, airy and inviting. Topped with Sunbrella® seat and back cushions so that you can enjoy long dinners in comfort. 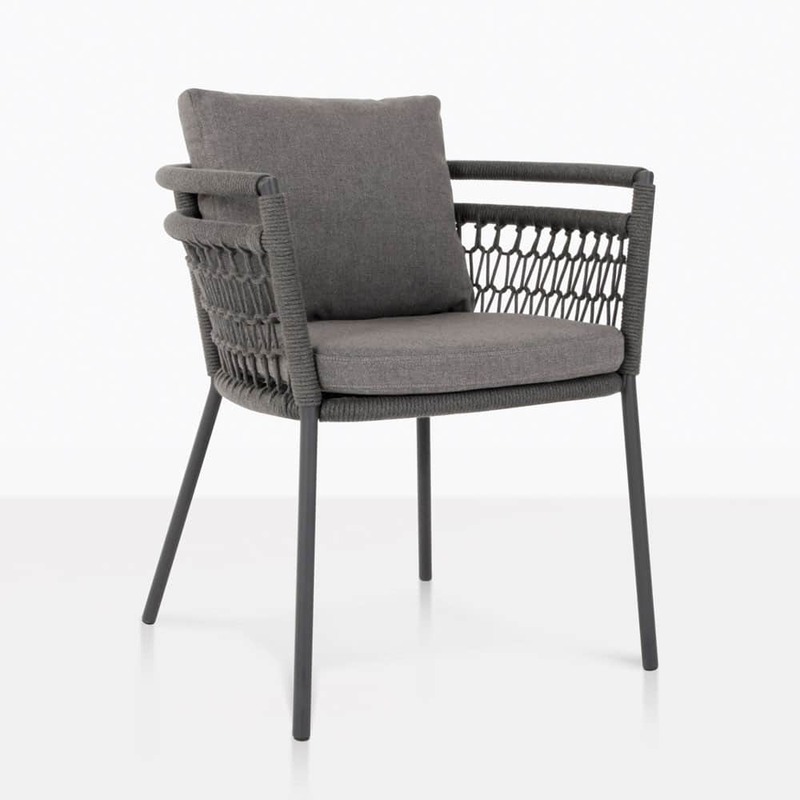 The Usso Outdoor Dining Chair is part of the Usso Collection that pairs traditional patterning with modern materials. Sync your look together with this astonishing range of outdoor furniture. Envisage your expansive patio, with delicate tiling paving the way for hours of entertainment and relaxation. Firstly, situate your dining table under a large canopy, such as one of our ample cantilever umbrellas, then surround it with this comfortable chic Usso Chair. Set up an area to one side that ties the look together with gorgeous pieces from the Usso Deep Seating Collection. If your area is more modest in style, then keep it simple and stylish with 4 of these incredible chairs around a 78” squared concrete table… the look is urban, attractive and welcoming. There are many options for this wonderful chair, including how it handles exposure! 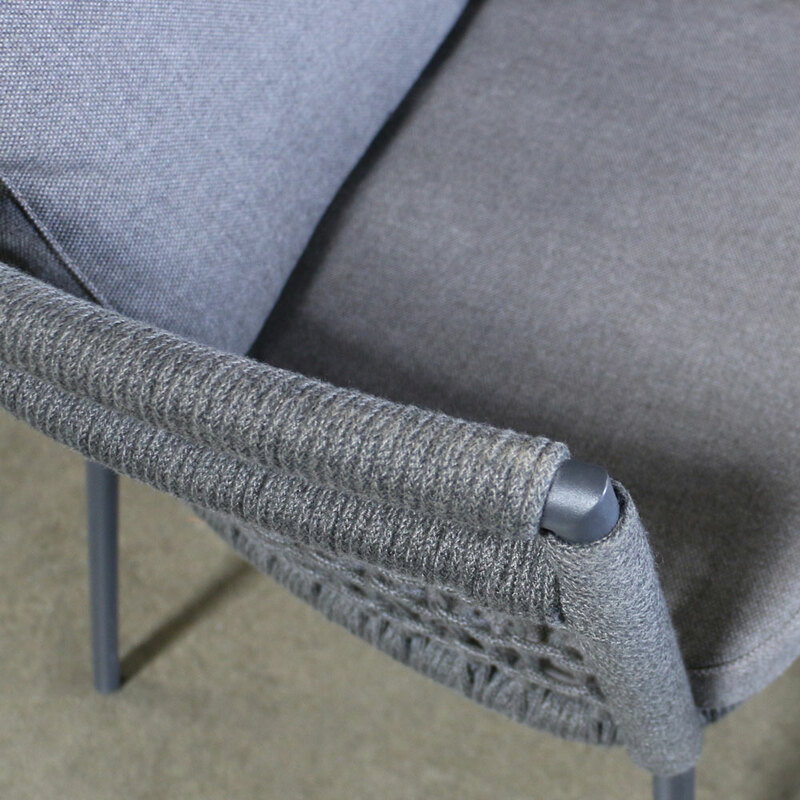 Our divine materials make the Usso Dining Chair a must for outdoor use; from the powder coated aluminum, to UV treated synthetic rope, to highly regarded Sunbrella® fabric, you can bet that with minimal maintenance, Usso will keep you in comfort and style for many moons to come! Call Teak Warehouse today to order your Usso Dining Chairs, and get ready to step into luxury!